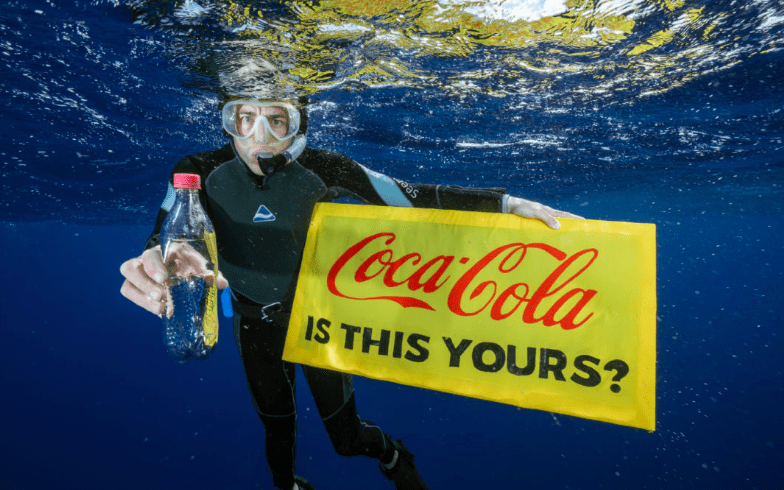 Coca-Cola, PepsiCo, and Nestlé were the most frequent companies identified in 239 cleanups and brand audits spanning 42 countries and six continents, according to the Break Free From Plastic movement. Over 187,000 pieces of plastic trash were audited, identifying thousands of brands whose packaging relies on the single-use plastics that pollute our oceans and waterways globally. Coca-Cola was the top polluter in the global audit, with Coke-branded plastic pollution found in 40 of the 42 participating countries. This brand audit effort is the most comprehensive snapshot of the worst plastic polluting companies around the world. This ranking of multinational companies included only brands that were found in at least ten of the 42 participating countries. Overall, polystyrene, which is not recyclable in most locations, was the most common type of plastic found, followed closely by PET, a material used in bottles, containers, and other packaging. “In Latin America, brand audits put responsibility on the companies that produce useless plastics and the governments that allow corporations to place the burden, from extraction to disposal, in mostly vulnerable and poor communities. BFFP members in Latin America are exposing this crisis and promoting zero waste strategies in connection with our communities.” Magdalena Donoso, GAIA Coordinator for Latin America. While the brand audits do not provide a complete picture of companies’ plastic pollution footprints, they are the best indication to date of the worst plastic polluters globally. The Break Free From Plastic movement is urging companies to end their reliance on single-use plastics, prioritizing innovation and alternative delivery systems for products. For a copy of The Brand Audit Report from Break Free from Plastic – click here.